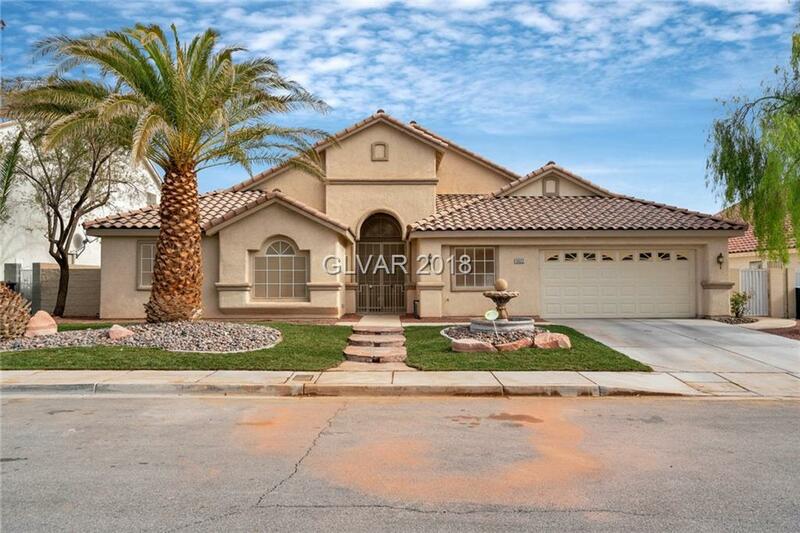 EXTRAORDINARY 1 story w/4 bedrooms, 2.5 baths on 1/4 acre with pool/spa/waterfall feature. Landscape revitalized! NEW carpet thru out! Open floor plan w/formal living rm/dining rm. 2-sided fireplace between living & family rm. Gourmet kitchen w/cherry cabinets, granite, large island, gas cooktop, double wall ovens, NEW microwave & faucet. Separated Master w/ensuite bath. Unbelievable backyard ready for entertaining! Outdoor fire pit "as is". Directions: From I-215, West On Tropicana, Left On Ft. Apache, Right On Mesa Vista, Left On Lexie, Left On Diablo, Right On Oakview Falls.